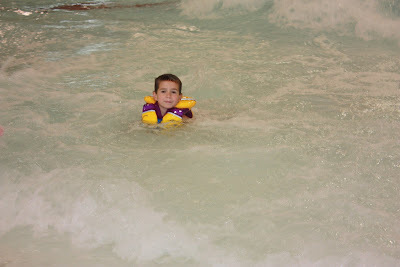 Jakob finished his second round of swimming lessons this past week. 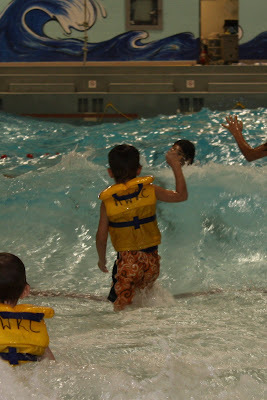 On the last day of their classes they get to play in the waves. 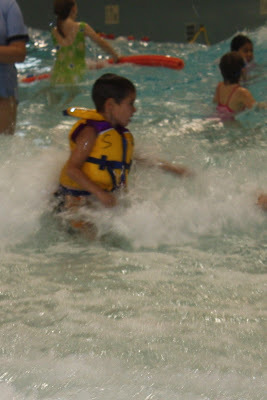 They all put on life jackets to swim and splash in the waves for half the lesson. Jakob loved it! 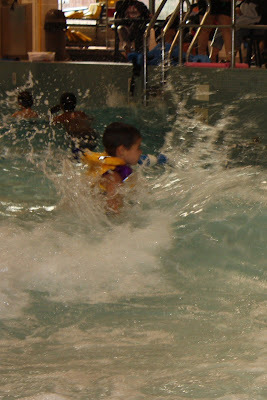 Jakob did really well and is swimming quite good. He passed his lessons and is already to move on to Level One (that's like Yellow, for all of us oldies) he just has to wait until he turns 6.